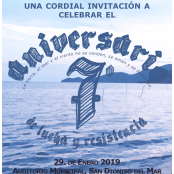 For the sixth year in a row, the Popular Assembly of San Dionisio del Mar (Asamblea de Pueblos de San Dionisio del Mar) continues its organizing efforts in defense of the natural resources of the Barra Santa Teresa area of the Istmo de Tehuantepec. In late January 2012, a group of indigenous Ikojts small farmers (campesinos) and fishermen occupied San Dionisio del Mar’s city hall building to protest the then-mayor Miguel Castellanos López’s support for the construction of a wind farm despite the rejection of the Mareña Renovables project by the local assembly. 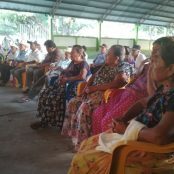 Opposition to the commercialization of air is not exclusive to San Dionisio del Mar, but the community’s resistance has earned it the support of Zapotec fishermen in the nearby city of Juchitán as well as civil organizations that warn about the underlying social risks of so-called clean energies, including wind generators that affect the fishing in the region’s lagoon. The megaproject of Mareña Renovables was declared dead in 2013; its investors had bought a million euros “legal time bomb” rooted in what Maurice Wilbrink, spokesman of the Dutch pension fund PGGM in the statement published by De Telegraaf, called a “wasps’ nest”. 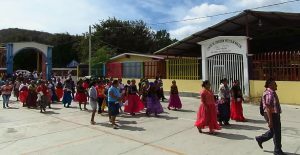 However San Dionisio del Mar also represents an example of social actions in favor of the right to consultation of the indigenous villages which was established in the 6th article of the Convention 169 by the International Labor Organization and in the article 19 of the United Nation Declaration on the Rights of Indigenous People. 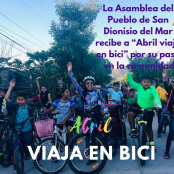 Like this, it demonstrates the obtaining of protection which the Seventh District Court based in Salina Cruz, Oaxaca granted which marks the suspension of all activity within Barra Santa Teresa by the company Mareña Renovables. 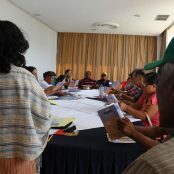 Despite of this, official attempts continue sabotaging the collective decision represented by San Dionisio del Mar Popular Assembly (Asamblea de Pueblos de San Dionisio del Mar), especially in form of political violence y social confrontation, a situation that changed for the worse shortly after the destruction caused by the earthquakes in September 2017. 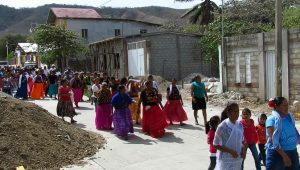 To commemorate this social process, the Ikojts indigenous nation realizes a symbolic homage every year in which regional social organizations and indigenous communities participate, which together organize a broad movement in defense of territories in the region of the Istmo de Tehuantepec. Categorías: English, Istmo, San Dionisio del Mar etiquetas air, Asamblea Popular, Istmo, Oaxaca, windfarms.